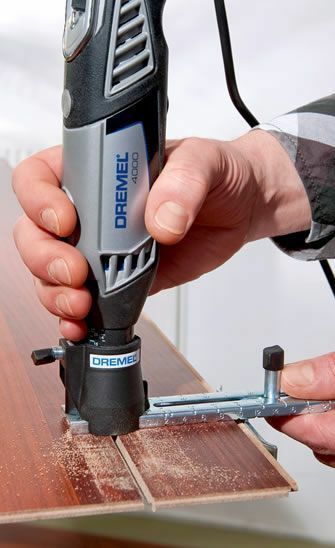 A Dremel is a type of rotary tool that is used for a variety of purposes such as sanding, polishing, sharpening, cutting, grout removal and among others. Dremel is not entirely a tool, but a company that manufactures rotary tools. 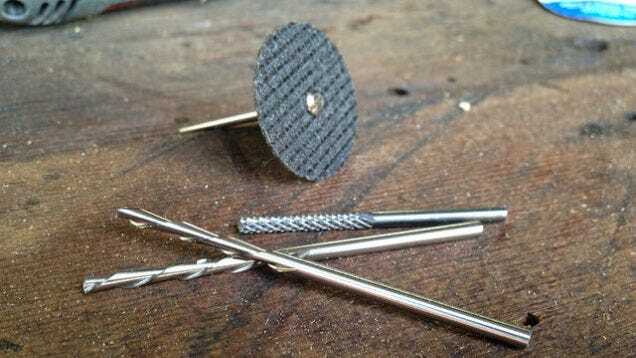 In this article, we shall focus more on the cutting capabilities of the Dremel rotary tool and in particular how to use a Dremel to cut wood. You can use it to cut through materials such as drywall or a piece of wood. Keep in mind that you will require specific bits or attachments depending on the material you intend to cut. When cutting wood that is less than 0.5 inches in thickness, you will require either a straight bit or a cut-off wheel. In addition, if you are cutting wood that is more than 0.5 inches, you will require a bigger tool. Cut-off wheels are known to be small but straight bits, on the other hand, are the best when cutting wood. When you purchase a Dremel rotary tool, you might get a cutting kit that offers you a variety of attachments to use. Hand gloves, as the name suggests, protect your hands from excessive friction that would come from the wood being worked on as a result of too much heat. Safety glasses allow easy visibility when working, as well as protect your eyes from dust being blown around. Face masks protect you against fine particles of groundwood debris flying around. Ear plugs or muffs offer protection against excessive noise that comes from the rotary tools when in use. Cutting wood can be quite a messy affair which is why you are advised to work in a well-aerated area with lots of room to maneuver around. Because you will need to clamp the wood, you can have a workbench and clamp for this. To prepare the tool, you need to fix the appropriate attachment for cutting wood. Take the Dremel rotary tool and remove the collar. Thereafter, attach the router base assembly with the straight bit already in place. Use a marker, stencil or anything that will be visible and mark the area you intend to cut in order to enhance accuracy during cutting. The markings will allow you not to go beyond the marked area thus minimizing errors. If your intention is to remove a lot of wood, then the saw attachment is the best to use. You can work on a large area at the shortest time possible. On the other hand, if you are cutting a smaller area of the wood, then the high-speed cutter is the best option. However, remember to apply low pressure when doing this to avoid stressing your rotary tool which will eventually lead to it jamming. Also, ensure you use the Dremel rotary tool in the same direction as the wood grain. Failure to do this might lead to skipping over some areas of the wood surface with your rotary tool, especially when you go against the wood grain. Additionally, you will notice that some places are uneven, which may be difficult to rectify. Make sure you keep cleaning the sawdust away from the wood so that it does not accumulate and prevent you from seeing the work. Accumulation of sawdust can make the areas look like they have not been worked on and you will end up cutting more than was required. You may be asking what to do in case you would like to achieve a smooth or rough cut. In the event, you would like a smooth cut, be keen on the speed is chosen for the rotary tool. If you choose a higher speed with wide strokes when working with wood, you will have a smoother cut. Conversely, if you choose a lower speed, you will end up with a rough cut. You can switch to sanding or buffing attachment, depending on how smooth or rough you would like your wood to be because it helps to remove the unevenness and any undesired areas. Also, you can retouch on the areas not satisfied, but to avoid any damage, sanding would be the ideal thing to do.